The introduction of reuse targets in European WEEE regulations will help the practice come out “the shadow of recycling”, a leading figure from the sector has said. 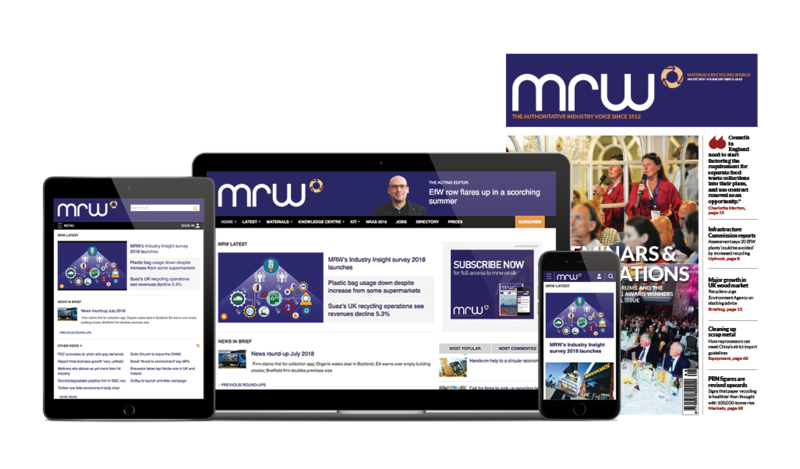 Furniture Re-use Network chief executive Craig Anderson welcomed the announcement, first reported by MRW, that the European Commission is seekingfeedback on the possibility of setting separate reuse objectives in the WEEE directive. Anderson told MRW: “We’ve been pushing for reuse targets since the turn of the century, but this is the closest we have got to the position we’ve wanted all along. Julie-Ann Adams, managing director at Really Green Credentials. also expressed support for the proposal: “Currently for many in the UK industry, reuse is not regarded as useful as it cannot easily be converted to ‘evidence’ or has less value to the last holder than if the WEEE is just sold for recycling. The European Commission (EC) is considering broadening the targets for WEEE to put more emphasis on reuse.